This page is for use of all Kick'n Bass® Pro-Staff. This page is for Testimony, coming events, trade show news, boats for sale by Pro-Staff, meeting room, trip planning etc. Not Lake reports. Please let us know what's happening, how you did in a tournament, what you are going to do, what's new.... what shows are you attending, etc. Use this board to plan your next tournament on a strange lake, post a "Help Me" post and someone in that state from KNB Pro-Staff can call or e mail you. Let's work together guys and gals. Also it would be nice if you all got us a telephone number of a bait and tackle store that does not carry KNB, we will call them and do all the work. Pro-Staff inquires, request for product etc. go to Ken "Cosmic" Kross. Refresh or Reload your page now. Well from the looks of it folks, we got us a new place to gather information. I hope that everyone on our Pro-Staff will use this board. We should be able to post upcoming events, past events, anything that you feel like. This board can be used for planning a tournament to an unknown lake. Just e mail a Pro-Staffer from that state and ask what's happening. The Irving Bass Club is having our 61st Semi-Annual Lake Fork "Open Tournament" Oct. 18th, 2008...being held out of The Minnow Bucket Marina off of Hwy. 154. Registeration is Fri Oct. 17th from 4-11pm and Sat Oct. 18th from 4-7am. at the Large Pavillion and Stage/Trlr. to the left of the Ramp. It's one of the Biggest/Best Tourneys on the Lake!!! Ken (Owner of Kick n' Bass) has donated some products for Door Prizes at the Tournament...He has the BEST Scents You can Buy...I'm on his Pro Staff, and have used them for Years!!! I'm also on the Bass Pro Shops Pro "Nitro State Fishing Team"...wouldn't even Think of Competing without having "Kick n' Bass" for All my baits! It's Awesome!!! We fished our fourth WBT tournament on Clarks Hill Lake in Appling, GA last week. I filed a report on our first tournament but the second (Neely-Henry) and third (Old Hickory) stops were pretty uneventful. There were lots of short fish caught using KNB Garlic. I finished 33rd and 43rd respectively and then knew I had to set my sights on Clarks Hill in order to make the Championship. The water was 15 feet low, the hydrilla pretty thick in most places, the water temp in the 70s, sunny, and windy. I had one day of practice with a local guy but no official practice. I was confident with what I learned from him for the present conditions. The first day I only picked up one keeper on a shaky head covered with KNB crawfish pulling it across the grass. After waking up after midnight that night with a severe headache and upset stomach, I decided I had to fish the second day and try to hold my spot in the standings. I was able to bring in three keepers caught on a weightless worm with KNB crawfish in the grassy flats. The winds were more than the 20 mph predicted. That put me in the cut so I could fish on day three. It was a tough day with a slow bite for everybody. I only caught one keeper with the same weightless worm with KNB crawfish. I finished in 13th. Not great but I'll take it. I went into this tournament in 12th place overall and did well enough to make the cut for the Championship. I am now tied for 11th and will be headed to Arkansas next month!! My thanks to KNB for such a great product! It's awesome! FLW BFL on lake Champlain, placed 15 out of 118. Fishing was tough because of a cold front that brought high winds and a lot of rain. Pre fishing was easy because the large mouths were on beds, I was using a tube scented with KICK N BASS garlic. On tournament day the plan changed because of the weather change. Well its tournament time again and so far I fished the Potomac and qualified for PA Classic and again using KNB crawfish on my flipping jig. Also this year is going to be the year for swimbaits and if you really want a slamming strike just put on Kick'n Bass. I have used this combo for two years and a fish will not leave the bait go. A lot of the fish I catch come from behind and that smell just drives them wild. The swimbait is made to be fished slow and the fish get a good long look an smell at these baits so do yourself a favor and dose it with Kick'n Bass. On Tuesday may 20th 2008 I was fishing on the Susquehanna River near Duncannon PA when I caught a 17# 10 oz. Muskie. My bait was a Big Mouth Spinnerbait and it was dressed with Kick'n Bass Crawfish Fish Attractant. I am a guide with Ken Penrod's Life Outdoors Unlimited, the largest guide service in the Mid Atlantic Region. The Potomac River where I fish is traumatized with tournaments & local fishing pressure & boat traffic form March thru October each year. Yet I have to produce fish for my clients day in and day out regardless of conditions. No scent product is a magic bullet but Kick'n Bass, does provide a very important edge. At the beginning of each trip I have my clients wash their hands and then rub in some Kick'n Bass Garlic scent to cover any odors. That way any baits they touch won't pick up offensive scents or flavors. I use Kick'n Bass Crawfish on all my plastic baits and the shad scent on all my crankbaits and spinnerbaits. On tough days, the scent and taste provided by Kick'n Bass give lethargic bass a good reason to bite my baits. This is especially important on cold front days and in the stink'n hot days of summer. I especially like the fact the Kick'n Bass products are made using a fish oil base instead of a petroleum base. Better for the environment and better for the fish. We were on the water all day but had struggled to boat a limit when we decided to try a Secret Weapon spinner bait. After soaking in KNB Garlic we made our first casts. My partner was broken off by a huge smallie about 10 feet from the boat. Then I got into two real nice fish 5 and 6 pounds. Then we moved about 50 yards working a flat and in about 1 foot of water came the fish we were looking for, the fish of a lifetime. She weighed 10.9 on our unofficial scale. Since it was Sunday and nearing dark we sent her back to finish her spawning work. The lake record is 10.6 so it would have been nice to have her on an official scale but I feel so strongly about protecting our precious resources that I didn't want to take a chance on her survival. Thank you Ken for such a great product. I know I can always took to KNB when I need the kicker fish! God Bless... And Tight Lines! The first stop for the 2008 WBT season took place on Lake Lewisville outside of Dallas, Texas. We had fished here in 2006 with low water, heat, and blue bird skies. This time the water was 2 ft. above normal and I wasn't sure what to expect but wanted to do much better than before. The conditions were tough. We had weather changes and winds that never stopped. I arrived on Saturday and began practice on Sunday. My practice partner and I struggled for three days trying to figure out a pattern but just couldn't come up with anything. We worked hard. I zeroed the first day of competition, was exhausted, and still had no answers for Lake Lewisville. My second day partner was very confident in her plan which helped me settle down a bit so I focused on what could happen and not the days before. I caught two fish for 5 lbs. 2 oz. which put me in 13th place making the cut. The third day we had winds said to be 30 mph all day, and the fishing was tough. I managed to catch one fish for 2 lbs. 8 oz. My total weight for the tournament was 7 lbs. 10 oz. for 7th place overall. My fish were caught on a T-rigged lizard, T-rigged craw, and spinnerbait. The KNB flavor of the day was garlic. Thanks!! I’ve always been skeptical about scent products and you may feel the same. But when you’re having a tough day on the water, you’re apt to try about anything. I fish in South Central Ohio and if you’ve ever fished Ohio you know it’s tough. Last year I was pre-fishing for a tournament during a cool September day. I couldn’t get bit all morning. I shuffled through the tackle box a couple of times in desperation only to turn up some Kick’n Bass a buddy left me to try a couple years back. He attested to Kick’n Bass, but I never gave the stuff a second thought and threw it in the bottom of the tackle box. Well, after two years in storage, Kick’n Bass worked like magic for me on this tough September day. On the same boat docks I just saturated with my unscented jig and pig, I turned around re-engaged with and with the same jig, only this time loaded with Kick’n Bass, and immediately got bit. Then just two docks down, bam--I caught two more nice bass. Now remember this stuff was two years old, but still Kick’n Bass put fish in the boat. The scent was potent and the viscosity was thick. I could believe it, but Kick’n Bass worked. So of course I went online when I got home and order a bunch. To my pleasant surprise it was cheaper than most products in the store at only $5.99. Really not a bad deal at all, just don’t wait as long as I did before you try Kick’n Bass. The day was pretty cool, cloud cover and some wind all day. Water temps in the upper 40s. Most of the lakes in the area are "flood control" -- they are pulled down anywhere from 25 to 35 feet to a "winter pool" and allowed to fill to "summer pool" usually in mid March to mid April. There had been a lot of rain and this lake was almost to summer pool already. However, it had been pulled down over the last few days a couple feet due to more expected rain. Also, the lake was muddy from all the rain, and the fish were scattered. I only weighed one fish, actually, of all in the club that weighed fish, all but one angler in the club weighed one fish. This was a "draw" tournament, and when my partner caught his fish using something completely different, I dug in my tackle and put on a bait very similar, doctored it with KNB and finally had one in the boat. I missed a couple others and finished last of those who caught fish. We were supposed to fish another tournament on this same lake the previous Sunday, but that tourney was cancelled due to the area receiving 14" of snow. Well, spring has sprung here in Texas and the fishing is excellent. Only problem lately is the March winds have played havoc on most of us. This past weekend I was pre-fishing for an upcoming tournament and even with 600 plus boats fishing an Oil Man's Tournament the fishing was great! Our winds were steady 15 to 20 mph with gusts up to thirty so most coves were stacked with boats. With just a little over four hours on the water I culled fish and ended up with a little over 16 lbs. for the day. Hope their still there for the tournament! The choice of baits for the day was Senkos dead-sticked and rattle traps. The best colors were Black/Blue, Smoke Purple for the Senko's and rattle traps produced best with Chrome/Blue while sunny and shad colored as well as anything orange. Caught a few fish on a watermelon/Gold and Watermelon/Red Zoom wacky worm. Hope this info helps someone. The number one thing to remember in order to be successful is to use your KICK'N BASS!!! I put several drops into all of my plastic baits so I don't have to pull out my bottle everytime. I also use a spray bottle with Kick'n Bass to refresh a bait if it's been on for awhile. Just a couple of time saver hints. Fishing was slow with cooler water temperatures and a strong wind. However a few nice bass came to the scales. Hello Pro-Staffers....The off season is finally here for me. Had a great year this year and really looking forward to the new year. Kick-n-bass has been a valuable tool in my plan of attack and is by far the only attractant I will put on my lures. Hope everyone's holidays are great and that the fish keep biting for you. Have a great one!!! I have been using KNB since 1999 even before I joined the Pro Staff. I have been putting a drop on the palms of my hands when I get in the boat, so that anything that I touched on the way to the lake won't transfer to baits. Well, I have taken it one step further. Instead of pouring a few drops on my baits before casting, I put a few drops in the palms of my hands and rub it onto the baits. You need to be real careful of the hooks, of course. Then wipe off any excess on your towel before picking up your rod. Now I am not hanging out over the side of the boat applying KNB. No drips and you also redo the attractant on your hands. So when you are searching through the tackle box selecting a different crankbait, for instance, you are also putting a little KNB on every thing you touch. This method has worked very well for me, getting bites after applying just as if I had poured it on, but without the drips. And, it can be applied a little more discreetly, if you don't want to give away your secret to the person you are fishing with just yet. Let him use the same baits you are throwing and wonder why you are catching so many more. Then you can share the KNB...believe me the next time you fish with him, he will most likely have some KNB in his bag. Hello everyone, I fished the district 65 championship on Grand lake in Oklahoma this past weekend. As temperatures rose the bite got tough I finished in 6th place. the only thing I could get fish to bite on was a jig with paca craw trailer with crawdad Kick n Bass or a 10 inch black neon worm with anise shad Kick'n Bass. thanks Cos for the KNB. "The Dog Days of Summer" are no match for the angler fishing "Kick'n Bass®". We all know how tough the summer months can be and how frustrating it can be to go to the scales with a sack of smaller fish in hopes of a good finish. Well... while we didn't take the prize, we did get Big Fish money for both Largemouth and Smallmouth and we were only less than 1lb. out of the money. I know this was not possible without Kick Bass. Rusty Strange PBF / BFN South Keep Kick'n Bass®! I happily report that I finally won my first WBT event on Kentucky Lake! We practiced Sunday through Tuesday with each day becoming a little more difficult, but we had brought enough keepers to the boat that we felt like we could catch some fish during the tournament. Thursday, the first day of competition, started with a couple of short fish but the feeling that the keepers were on their way. Unfortunately, about midmorning the trolling motor died and we spent most of the day waiting on a rescue boat to bring a new trolling motor and did our best to fish without it. Difficult to do with a slight breeze and boat traffic. No fish for the weigh-in. Friday came with a peace about everything. We fished shallow banks with much success. I was able to weigh-in four fish for 9 lbs. 10 oz. which was enough to make the cut! I was finally going to fish for the money! Saturday came with very little sleep but the continued peace that I felt on Friday. We fished the ledges all day. I had my first limit and culled for the first time by 10:30. I weighed in 10 lbs. 12 oz. for a total of 20 lbs. 6 oz. to win the tournament! Once again KNB came through for me as I caught all of my fish with plastics on a T-rig, C-rig, and ball jig. They were always covered with it. Thanks Cos!! I couldn't get the "ledge bite" that is a popular post spawn technique at Kentucky Lake, so had to go to something that I know. That was fishing in grass with a Senko laced with Kick'n Bass. It did the trick and I made the second day cut and finished in 15th place overall. Yes...Kick'n Bass made a difference...they didn't want it without! Fished the club tournament at Lake Millwood located in southwestern Arkansas. This lake is like a Louisiana or Florida bayou complete with lily pads and alligators! Bass must be minimum of 16" and only three allowed in possession. Thanks to Kick'n Bass I landed two beauties to take third place. I had a great week at Lake Dardanelle. The week started off with three great practice days with me and my practice partner catching fish each day to include keepers with the others being no less than one inch from being keepers. So our confidence grew each day with our choice of lures with mine being covered with KNB. Day one of the actual tournament rolled around and didn't turn out to be quite as good as practice. I caught about ten measuring 14 ins., but we all know that just doesn't matter when they have to be 15 inches. No keepers for day one. So close, yet so far. Day two began slow in the shallows. We went to spot #2 after about an hour to yet another very shallow area. Within 30 mins. we started putting fish in the live wells. My first was 3 lbs. 1 oz. which I felt was a good start. About an hour later I caught the second one which weighed 4 lbs. 5 oz. (my biggest fish ever). Unfortunately, those would be the only keepers for the day, but I caught many others just too short which, again, just didn't matter. My total weight of 7 lbs. 6 oz. didn't get me a check, but did move me up in the overall standings. Once again, the senko-type worm covered in KNB came through for me. Thanks again, Ken, for your support. I fished the ABA (District 65) on March 25th. It was a tough day with rising water and the winds were gusting at 25 mph on Grand Lake. I was able to seal second place with a slow rolling spinner bait DRENCHED with: GARLIC KICK N BASS. I don't leave home without it. Had a good tournament...made the cut with 20#. Third day was tough for me...needed sun for my pattern to continue. It wasn't that there weren't fish being caught...it was the 15" size limit that made it tougher. By using Kick'n Bass to enhance the presentation of my Senko, I was able to put a nice 3#8oz in the live-well for a finish in 22nd place and a check. This was the first state of Arkansas TBF tournament, and it was held in Hot Springs, Arkansas. Our team, Spa City Bass Club, didn't do as well as we would have liked on our home lake. We all did catch fish.. unfortunately they were the small bucks. Since I was the only woman fishing the event it was important (to me) to catch fish and I credit my catch to Kick'n Bass.. even got my draw partner interested in trying it! I've just begun fishing tournaments a little over a year ago, and haven't been doing too well, actually. I'm still learning about what type artificial bait to use when, how to rig lines, etc. Since being sponsored by Kick'n Bass, I've been putting some of it on my hands each morning before beginning to fish. In the last tournament I fished, in Del Rio, Texas, I caught what was probably the biggest bass of my lifetime, a 4 lb. 15 oz. one. I know it wasn't considered huge for Del Rio, but it was huge in my book!! Thanks Kick'n Bass! Fished first tourney of the season on Sunday, 3/11. Kick N Bass was in use and helped us succeed. We weighed a limit, finished 9th out of 105+ and cashed checks. I am convinced we could not have done as well without KNB. We chose our first place to start, but was unable to get directly on it due to others who arrived before us (we were in the third flight) After one of the other boats moved off the point we moved in and put 3 fish in the live well very quickly. We moved to other locations after a while of no hits, and only caught short fish. So we finished the day on the same place we started, and finished out our limit and even culled one of our smaller fish. I caught all but the last fish -- my husband caught one over 4.5 pounds just before we had to get back to the weigh in. KNB is the best on the market. I've known this for years and proudly promote it to all I fish with when in a draw format tourney, and have gotten several bait stores to carry KNB. looking forward to start of season with first trail tourney on Nolin Lake in central Kentucky this coming Sunday. The tourney will have 100+ boats. The lake is a flood control lake and is still in winter pool. Winter drawdown is about 20 feet below summer pool. Water temps are still on the cool side but not cold, as our winter this year was fairly warm. Will let you know how we do. Hello everyone! It's finally here -- the start of the 2007 Women's Bassmaster Tour. We started the new season on Lake Amistad in Del Rio, Texas. It was a great week with fairly mild weather as long as the wind wasn't gusting. The first day started out pretty slow with a thick fog setting in and not being able to blast off until over an hour after the scheduled time. The temperature stayed in the 50's with gusty winds and never made it to the 75 mark as forecasted. So the water temp stayed right around 50 and choppy all day with no relief. After a tough morning with no bites I finally T-rigged a watermelon finesse worm and covered it with crawfish KNB. Ten minutes later I had my first bite and was reeling a decent keeper to the boat. Unfortunately, it shot out of the water just as we were about to net it, waved good-bye, and threw my lure back to me. That was my only bite for the day which left me with nothing for the first day weigh-in. The second day started out much better with no fog delay. The temps started out a little cool but the sun eventually made it out and warmed things for the afternoon. The water temp stayed around 54 and was much calmer with just a ripple. I was determined to fish with confidence and take something to the weigh-in. I decided to fish a drop shot with a watermelon finesse worm covered in crawfish KNB. My boater was just learning to use KNB, and we had a great time covering our plastics with it. About midmorning I finally hooked into what is my biggest fish ever. I pulled in a 4.4 lber. It was my only fish for the day. We were sitting in about 40 ft. of water, throwing to 20 ft., and working it slowly back to the boat. I didn't place but did get points on the board. 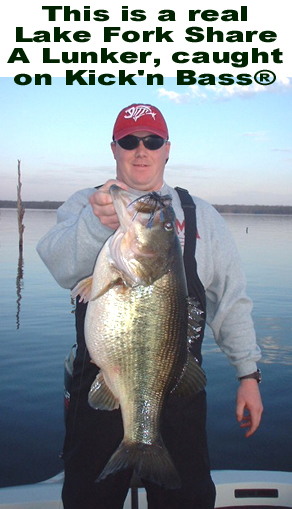 Lake Amistad is a great fishery with deep clear water, hydrilla, and trees shallow and deep. Ken, thanks again for giving me the opportunity to represent KNB. It's a great product!! I just wanted to let everyone know, especially here in the south that spring time means CRAWFISH!!! We've been getting alot of rain fall these last couple of months, and alot of water means a good crawfish season. Which in return means that the bass will be feeding on them heavily. It is very important to remember when fishing this spring to apply KNB CRAWFISH scent constantly when fishing. The bass will need that extra encouragement in order to bite because of all the natural prey, every bit helps. And the KNB CRAWFISH matches this scent like no other product on the market. It helps me out fish my buddies all the time, and doesn't that feel good. So don't forget to pick up a couple of bottles before you head out this spring, or order them now on this site. Good luck fishing. P.S. Check out more KNB comments on my website, www.derekaucoin.com . I would like to say hello to everyone as I post my first report as a member of the KNB pro staff and thank Ken for inviting me on board. I hope all is well with all of you. Now let's talk fishing. I fished Lake Hartwell on the GA/SC border with my bass club, the GA Peaches, last weekend. We had a chilly but beautiful morning Saturday with the temperature being in the 50's. The sun was already up and on the banks by the time we reached our first spot. I had a slow morning with very few bites on topwater. As the day progressed and things warmed up I switched to plastic and began to get some action. The water temp was 64 degrees with a light wind blowing. I caught my first keeper off of a brush pile a few feet off the bank with a Junebug dead ringer covered with KNB Anise Shad. Clouds from an expected front moved in around lunchtime and we knew there was rain on the way. We later moved to a flat off of a main lake point where I caught two more keepers. These were caught on a lightweight jighead with a Candybug trick worm which also had KNB on it. The wind was blowing straight into the point. That was the best I could do for day one. The rain did come that evening and it rained well into the night. The rain moved out and the sun was on the horizon once again by blast off on Sunday. The temperature was cooler in the high 30's with a slight breeze. We were able to get to our first spot a little quicker this time, but the topwater bite still produced nothing. Knowing that the flat on Saturday produced some keepers, we tried a new one but got no bite. As we trolled around it we discovered a 20 ft. drop-off into a ditch and gave it a shot. This is where I snagged my first keeper fishing with the same lightweight jighead with a Candybug trick worm with KNB Anise Shad on it. We later moved back to the flat from the day before. On my second cast I had a major hit but was unable to set the hook on time. So I threw back to the same spot, got the bite, set the hook, and knew I had a good fish. I reeled it in right up to the boat, saw that it indeed was a good fish, and just as I got ready to land it, the fish gave one good tug, broke the line, and was gone. Thus, the one that got away. I'm guessing he wanted that big trick worm pretty bad so he could lay around all day sucking the KNB off of it. Whatever the case, I was heartbroken. I had no other bites the rest of the day until about ten minutes before check in. The wind blew hard all day, the water temp was 62 degrees, and the air temp finally reached the 50's by midafternoon. I caught one more keeper off a stump a few feet from the bank close to the ramp. Again, I had used KNB Anise Shad on a Junebug dead ringer. Even though I lost the big one and the others were not much to brag about, I still was able to weigh-in both days with a combined weight of 5.77 lbs. Again, I'm excited to be sharing my first report and am looking forward to posting many more. It's a real pleasure for me to represent a product like Kick'n Bass! Hey guys and gals. Wanted to drop a line and let you know I fished the Super tournament at Kerr with a fourth place finish and a Regional tournament with a 39th place finish. This is plane and simple, if you really want to improve your success use KICK'N BASS. It has helped me tremendously. It is almost like cheating. It works and I would love to get some emails from you guys letting me know how well it works for you or how much better it has helped your catch ratio. I have tried them all and thanks to Ken I am using the best there is. I recently fished with a friend who swore by L----- Lotion and told me how it was better. I tried it and had to reapply it all day. KNB, just put a little in the bag and I promise you will use more of the worms, trailers, etc. than you will of the scent because bass love it. Anyway, I had another great year and finished 4th overall in the BFL Piedmont Region. Once again I owe a lot of thanks to Ken and KNB!! Once more, using KNB put me out in front of my competitor/partner. Fishing a club tourney, our club is "draw" format. It seemed like every time I refreshed my KNB on my bait, I caught a fish, starting with my very first cast. I always offer the use of KNB to others in my boat, and most of the time, they take me up on it. This partner, however, never tried it, even though it was working for me that night. Some people never learn. But I came in with more weight than he did. I believe KNB is the best fish attractant around. I have been using it exclusively since 1999. It's been a while since my last report, but I've fished several tournaments since then. I recently competed in an invitation only tournament here in south Louisiana called the Pro Bass Challenge ( probasschallenge.com). My fish catching pattern consisted on concentrating on shallow fish in about a foot of water using a SIZMIC POPPING' TOAD combined with Kick'n Bass garlic scent. It was a hard tournament with low water and high water temps., but I managed to put a nice stringer of delta bass together that weighed 13-14 lbs. (5 fish). [The fish that I was catching weren't really feeding], but they couldn't resist the action of the Sizmic toad combined with the taste of the KNB Garlic scent. Well it's finally up and running. My personal website, http://derekaucoin.com is now live. You will be able to browse the site and read info. about my sponsors, myself, along with some info. about KNB with a link set up to this site. A special thanks to Ken Kross for making a great product and his continued support. Sponsored by: Kick'n Bass Fish Attractant, Uncle Josh bait Co./ Sizmic Lures, MarineGradeMkt.com, Yo Betty's R.V. Supplies, Raines Technologies, Falcon Rods, The battery Warehouse Inc, and Richardson Homes. Special thanks to all of my great sponsors, they make this possible. The report is a little late but it is a good one. We fished the bfl on 6/24/06 on Kerr Lake. Things were pretty good with a 48th place finish. Using the Kick'n Bass crawfish I managed to catch 50 fish but only three kept for 9lbs. 4oz. In that 9-4 I had big fish weighing 5-4. That itself earned me a check for $915.00 as well as moved me op to number 10 overall. Once again Thanks Kick'n Bass!!!! o.k. Ken KNB did it again. Had a tournament on Jordan Lake in N.C. on Saturday. Again found fish both guarding fry and spawning. Fairly stained to muddy water. Had caught my first and sorry to say only keeper at 8 a.m. on a craw soaked tube. Partner had thrown at same fish 4 times without a look. Put that tube in there and caught a 3.02 largemouth. Lake has 16" slot. From then on had to share craw scent with partner. He caught 2 after starting to use it on a rig spot. I may have only caught one fish Saturday, but got those all important points. Moved from 82nd to 39th. Thanks Ken and keep up the good work. By the way gave my partner the remainder of the bottle and have yet another convert. HEY GUYS. JUST WANTED TO SAY THANKS TO COSMO AND KICK'N BASS FOR SAVING ME ONCE AGAIN. THE BFL VISITED LAKE GASTON ON 4-8-06 AND MAN WAS IT TOUGH. I DID NOT PLACE VERY WELL BUT I DID EARN SOME VALUABLE POINTS TO HELP TOWARDS THE REGIONAL TOURNAMENT AT THE END OF THE YEAR. I WILL SAY WITHOUT KICKING BASS I WOULD HAVE EGGED THIS ONE FOR SURE. WITH A LITTLE GARLIC WE CAUGHT OVER 20 FISH BUT ONLY HAD 5 TO KEEP. I FINISHED 84TH OVERALL BUT STILL STAND 23RD IN THE OVERALL POINTS. WE HEAD TO LAKE JORDAN NEXT MONTH AND I WILL BE SURE TO KEEP ALL INFORMED. JUST GOT BACK FROM KERR LAKE IN NORTH CAROLINA. IT WAS VERY TOUGH ALL THREE DAYS WE SPENT THERE. ALLOT OF THE LOCALS AND OTHER TOURNAMENT FISHERMAN WERE FISHING CRANKBAITS AND JERKBAITS. NOT REALLY ON A PATTERN I DECIDED TO FISH A JIG THE WHOLE TOURNAMENT AND TRY TO MAKE THE BEST OF THINGS. USING A NEAL'S HANDCRAFTED JIG AND ZOOM CHUNK I MANAGED TO GET A LIMIT AND MY CO ANGLER NEVER GOT A BITE. HE COULD NOT FIGURE OUT WHY, AFTER ALL I GAVE HIM THE JIG AND HE HAD THE TRAILERS. I SHOWED HIM WHY WHEN I ASKED HIM IF HE WANTED SOME OF MY TRAILERS SOAKED IN KICKNBASS GARLIC. HE REPLIED THAT COULD NOT BE THE DIFFERENCE. WELL I BELIEVE IT WAS AFTER ALL I FINISHED 18TH OUT OF A 200 BOAT FIELD AND CAME HOME WITH A CHECK. HE MAY HAVE LEFT WITH MORE THAN I DID THOUGH, HE LEFT WITH A VALUABLE LESSON AND I WILL GUARANTEE HE WONT LEAVE HOME WITHOUT KICK'N BASS ANYMORE. THANKS FOR A GREAT PRODUCT AND SUPPORT. I have another Kick'n Bass report I would like to share with everyone. On Sunday Jan. 22 I was prefishing for our B.A.S.S. Federation Club tournament, and KNB pulled through for me again to no surprise. I was flipping shallow wooded cover in the canals off the main lake and was catching some nice prespawn bass. The fish were getting ready to move up on the beds. Even though it is still kind of early for them to do this in south LA. the water temp. was around 60 degrees and they were getting ready to spawn. I was applying the Kick'n Bass crawfish scent to my bait and they were really eating it. My best 5 fish went about 14#. I can't wait until this weekend to get back on the water and see what else KNB can help me catch. F.Y.I. My new email address is dpaucoin@yahoo.com . I am also in the process of putting a website together so everyone will be able to visit me and obtain information about my great sponsors. It will have alot info. about KNB and myself so I encourage everyone to check it out. It is www.derekaucoin.com . It isn't open right now, but I will let you know when it is. Also, I would like to thank Ken Kross for having such a great website where we can all stay in touch with each other and share info about KNB. Kick'n Bass Pro Staff DEREK AUCOIN Baton Rouge, LA A special thanks to all of my sponsors, they make it possible for me to fish at such a competitive level: Kick'n Bass Fish Attractant, MarineGrade Marketing, Yo Betty's R.V. Supplies, Falcon Rods, Raines Technologies, The Battery Warehouse Inc. of Denham Springs, and Richardson Homes. Hello everyone..... Been a little busy down here in southwest La. compliments of Hurricane Rita. Hope all of the pro-staff is doing well. Hope everyone is going to have a great New Year. Kick-n-Bass is still the best fish attractant out on the market today and I am glad to tell everyone about it. To all the new pro-staffers I welcome you and look forward to chatting with you and the old pro-staffers you already know me....if there is anything I can do for yall let me know. Have a great day and keep fishing. Above is the article about the championship I fished, and my points finish for 2005. Well, went and fished the moonlighter tournament up at lake amador on the 20th of this month. This was a 7 P.M. - 7 A.M. tournament with a weigh in at 12 A.M. and 7 A.M. Started off the night throwing 5 1/2 inch 082 worms and lizards topped with KNB Craw. First fish caught was a 4, so things are looking good. Then proceeded to catch a few threes and another four, all good fish and no small ones ( I am not complaining about that )These fish would not let go of the bait, they liked the taste of Craw. the bad part was a lot of the fish where swallowing the worm thanks to KNB. We had the first weigh in and we weighed in 17 1/2 pounds good so far for second place. We then headed back out and the bite seemed to turn off for us. We tried using other scents with nothing biting. We then decided to go back to what has been working 5 1/2 inch 082 with KNB Craw, and started catching fish again but smaller ones, but at least we where getting the bites. We weighed in a small limit of 8 1/2 pounds for the second weigh in for a total of 26 pounds good enough for 3rd place and it had to do with the scent. The fish where on a heavy crawdad bite and just turned on by the Craw scent. The bad part in all of this was the guys that I met that where fishing the week prior that where not getting any bites, and gave them a few samples of KNB and they where the ones that took first place, so I think they like KNB know. I told them to remember who gave that scent to them and who makes it, and they told me that they will never forget it. Well, things are looking good here in California for the night fishing. Went up to Lake Amador to pre fish for a upcoming moonlighter tournament, all I can say is what a night. Started off throwing 5 1/2 inch 082 worms topped with kick'n crawdad, and what a combination. We started off catching fish ranging from 1 LB. to 4LB. Moved to another area throwing the same bait and same KNB and caught a 8.3 pounder, what a brute. Then I moved over towards the damn dead sticking a senko topped with KNB crawdad and right off the bat, catching fish. I was catching fish 2-4 LBS non stop and when they hit, freight train from hell. Kinda been on a "luck roll" -I'd rather be lucky than good any day. In JULY I won the NBM-TVA Series qualifier on Lake Shafer. The link to the article is above. It was quite a day, KNB comes through again!! Then later in July I fished the NBM-TVA Series qualifier on Manitou. I ended up in 2nd place in that one. The fishing was kinda tough, as I skipped pontoon boats with worms that were laced with KNB Crawfish. Then last week I won the final NBM-TVA series qualifier on Shafer - believe it or not. The fishing was pretty tough, as this was another low weight event. Thanks to Kick-N-Bass Garlic I was able to weigh in the only limit of the day. What's more though, is I won the 2005 AOY title. I owe it all to Kick-N-Bass. Extra bites in each tournament, give you a few more points usually, and sometimes gives you the opportunity to win. If you get only two extra keeper bites in each tournament because of using KNB. That adds up to 12-14 extra keepers through the year. That adds up. Kick-N-Bass IS THE MOST AWESOME PRODUCT I HAVE IN MY BOAT. The NBM-TVA Bass championship is next month. There's a lot of good competition in that series, I hope lady luck will stick to my baits as well as Kick-N-Bass does. Just wanted to give my June report. On June 4th I finished in 4th place at the TNBA-TVA Manitou qualifier. Had a limit that weighed in at 9.01 pounds, used worms with KNB-Garlic in both submerging and emergent grass to boat 22 keepers that day. One would think I'd have had a kicker or two. But it was not to be. KNB really performs, they didn't jump onto the worms with crawfish, but simply changing scents tripped some kind of trigger through their chemoreception and did the trick (thanks for the tip Cosmo). I finished 2nd in the NBM-TVA qualifier on Freeman. Not much to write about, it was very tough. I had three pups that weighed 5.08 or something like that. KNB gets a BIG THANK YOU. I caught quite a few bass, just not many keepers. I would've won the event but the 1st place guy had one that he was able to get to "squeak and touch the line". Oh well, gett'em next time. Why to go Sherry-Lynne... guess snagman is doing the dishes this week. Go Girl! Just want to stop in and give an update for the month of May. I fished the Indiana BASS Federation District Tournament ended up in 10th place and qualified for the Indiana BASS Federation State Finals later this year. Don't know if I'll go or not, I have another tournament that same weekend. We'll see... KNB performed magnificently while site fishing with my partners. You can actually see the difference in how the fish react to the baits. Then I fished the TVA Bass Series Tournament on Morse Lake and ended up in 4th place. Sitting in 2nd currently in the point standings in NBM-TVA Bass Series for now. I feel optimistic, but there's a lot of good anglers right on my heels. This was a tough event, not many bites, not much of a weigh-in. HOW TOUGH? Well, it's not often you get 4th with 2 bass especially on a lake where anglers weigh lots of limits. Went to Don Pedro on Saturday to pre fish for an upcoming 100% pro team event. Started out the morning throwing topwater, and nothing going on. At about 7:30 starting throwing a keeper worm in 082 color topped with Craw KNB, and still nothing. I always catch fish up there on a 082. So I decided to try out the garlic scent instead, and it seems that the fish where feeling Italian this day. I started getting bit right away. I usually don't use to much garlic scent, but I think that I am going to have to start. I only got bit when I had garlic on, it was really weird. But I stuck with that pattern the rest of the day and put some nice fish in the boat and shook off a lot of fish, but it was pretty hard to get those fish to let go of the bait, they like Garlic. So I will be starting next weekend with garlic on all of my baits, and hope this will help the catch situation. Sponsors: KNB, Yo-Zuri, GYCB, Maxima, Falcon Lures, Mustad Hooks, St. Croix Rods, Minn Kota, Bolle Sunglasses. Ken, Just wanted to drop you a note along with a big THANK YOU! Kick-N-Bass gets another Top 10. After not having a good day on day 1 of the Everstart in Columbus, I decided to change tactics and locations. Day 1 I locked down a pool fishing for bedding fish. When I arrived I was 1 of 20 boats in a very small area. I managed to pull 2 fish out of there before having to lock back up. On day 2 I took a gamble with the help of my co-angler we locked up a pool. There I concentrated on isolated vegetation throwing a Terminator Spinnerbait on 17lb fluorocarbon silverthread juiced with Kick-N-Bass garlic. I managed to get 6 bites and 5 fish out of the area before having to lock back to weigh in. My 5 fish limit weighed in at 19lb 15oz, the heaviest 1 day weight of all four days. I also had big bass of the day. I would like to thank you for all of your support. My partner and I fished a tournament on Lake McClure on January 16th. the fishing was pretty tough, but we where able to get a solid limit together. We where throwing jigs topped with Kick'n Bass craw and also throwing some keeper 082's with Craw. The fish are feeding heavy now on crawdads, and now is the time to switch over from anise/shad to the craw flavor, and I must say the fish love it. We did not miss any fish while using it. They seem to think that it is a real crawdad, because they just wont let go of the bait, even when you try to shake it out of there mouth. I don't know what I would do without Kick'n Bass. I think it would be like fishing in my bathtub, because that is about how many fish that I would catch without it. I hope that everyone on the pro staff is having a good year so far, and Ken, I hope that things are going better for you and my heart goes out to you and your family for your tragic loss. Hello Pro-Staffers.....Just thought I'd e-mail real quick and wish everyone a Merry X-Mas and a Happy New Year!!! I hope everyone gets what they want for x-mas. In stead of leaving cookies out for Santa I am going to leave some Kick-n-Bass so he can try that up at the North pole.... It is definitely the best attractant anywhere else I have tried it.....Have a great day everyone!!!! I started the 2005 season started off with a win in the NBM-TVA Lake Shafer Open in October. KNB anise shad was applied to my crankbaits, and KNB Crawfish was applied to my jigs. In the Lake Freeman Open though, I swung for the fences and zeroed. this puts me in 9th place overall going into the Winter break. I plan to "rebound" from this however. I'd also like to wish everyone a Safe and Happy Holiday season. Well this weekend was the tour championships on Folsom lake on Saturday and the California delta on Sunday. My partner and I pre fished on Friday at Folsom lake and we made the mistake of using Kick'n bass in the anise/shad on pre fish day. We did not want to hook the fish at Folsom, just wanted to find the fish, let them bite, and shake them off. But we used the anise/shad, and the fish would not let go of the bait. We where drop shotting in about 15 feet of water, we would drop down and the fish would grab the bait swim around with it for about 30 seconds. I am telling you what, with Kick'n bass on your baits, when the fish hit, they think it is the real thing. Well we fished at Folsom on Friday, and right off the bat, the fish where holding onto the baits and we put them in the boat. After the day was over we had 10.11 for 5 fish and where sitting in 7 place out of 70 boats. Day two we where on the California delta, and where going to be throwing spinner baits and crank baits. We where using crawfish flavor on our crankbaits and anise/shad on our spinner baits. I have never had such vicious bites on blades like I did on Sunday. I have to say it was because of the Kick'n bass. They where hitting our blades and inhaling the whole thing. They would swipe at it, get a taste of the Kick'n bass, and come back for more. We ended up in 8th place over all for the two day tournament. I want to thank you Coz for the product that you make, and we feel that Kick'n bass makes the difference. We are proud to be part of your Prostaff out here on the west coast and look forward to winning the whole thing next year with Kick'n bass on our baits. Well Lake Wallenpaupack in Pa. proved to be tuff. It took 10 lbs of smallmouth to win. Water was dead calm and it was 52 degrees. The best bite I had going was fishing floating docks with clear flake tubes in 18 to 20 ft of water. I soaked my tubes in KNB anise shad, and it helped keep the fish from spiting it out. The bite was nothing more then weight and maybe a little line movement, thats all. Well I caught 5.65 lbs and placed 8th, so I received good points towards our Classic in the fall which will be held at Raystown Lake. My dad and I have used the crawdad scents for awhile now and I just fished Folsom Lake in California. Fish wouldn't inhale the bait until you used the product. I have to say it works on crankbaits just as well as plastics. This product stays with your bait a lot longer than other products. The boat wax put a shine on my partners boat like he just touched it up with a buffer. Thanks Ken for your product and Customer Service. First off I would like to thank Ken for the opportunity to be part of Kick'n Bass. His products are top notch just like he is. When he says that his scents will work, you better believe him. I fished this past weekend on Folsom lake for bass and the fish just where not biting the bait hard. They where just grabbing the tail end of the worms and when I would set, I would have nothing but half of my worm left. So I put on some Kick'n Bass crawdad, and the first cast, WHAM... there was no nibble there, it felt like a freight train had just gone bye and grabbed my bait. This time I got the fish and not just the end of my worm. I fished with the crawdad Kick'n bass the rest of the day and never got another one of those nibbles. I have to say, that this is the best product on the market, and the best customer service around. If you want one of your questions answered, all that you have to do is e-mail ken and I'm sure that he will help you out as much as possible. This guy is top notch. Now on to the Boat wax.... I have not used Kick'n Bass boat clean and shine until this weekend. I have to say that I have used alot of other competitors products and nothing has given me that shine that the clean and shine gives you. That carnauba wax that is in this product will keep your boat nice and shiny. I have not seen the shine and smooth surface in other products that I saw on my boat. I am very impressed with Kick'n Bass products and I will never use another product again. If you are not using Kick'n Bass, you will just be fishing and not catching. I have had a great year fishing striped bass with the Texas Striper Association and these tournaments are sanctioned by the National Striped Bass Association. I am currently in first place in the Texas state and working on first place in the Texas state for the NSBA. (different point systems) After the Lake Whitney tournament on Oct. 16, my team should be in first in the NSBA too. Take a look at my accomplishments for 2004 on my web site. Kicknbass has been a big influence on these big old fish to hit my baits. I like the saltwater scents on my big sassy shads and also I put it on my wildeyes. Nothing like the good old smell of KNB to make those big stripers hit a bait. I fished bass tournaments for years with the KNB and thought I would give KNB a try on the stripers and subspecies. It works guys give it a try. Scent flat works no doubt about it. Lady On The Lake TV Show airs every day at 6 pm in the Dallas Fort Worth Metroplex area. Comcast production. KICK-N-BASS pays off again!!! Well I didn't place in the end of the year classic, However I did win Big Bass of the tournament which paid me quite a bit of money. Now I have to tell ya'll something that you will very seldom hear a Tournament fisherman admit to but my mind just wasn't on the tournament. See even though I was fishing the biggest tournament of the year, Being from Louisiana I was worried about evacuating as soon as the tournament was over for Hurricane IVAN!!! Its amazing the stuff that goes through your mind when you could possibly lose everything you have worked for. Well even with all this going on I managed to set the hook on a 4.63 lb Bass that ended up being the biggest bass weighed in during the tournament. I caught the big bass on The New Gary Yamamoto Kreature in Black with blue flakes and of coarse presoaked in Kick-n-Bass Garlic scent. I really hope that all our Pro-Staffers are spared from IVAN, My thoughts and prayers go to each and every one of you guys. GOOD LUCK REEF.........I HOPE YOU BEAT IVAN TO THE FISHING HOLES TOO!!!!!! Hey Guys.....Just thought I would write real quick. I am going pre fish today for the end of the year classic tomorrow.....kick-n-bass will definitely be in my boat. Hopefully I can bring us home a big win....Yall have a great day!!!!! Glad To have you Reef!!!! I am glad to hear you have found out what the other pro-staffers have determined and that is that Kick-n-Bass is definitely the best and the strongest out on the market today. MARK.. MARK ..MARK.. I am really glad to hear you are starting to put weight back on that leg....I don't know if I ever told you but when I am not fishing I am a medic so I get to help people in situations like yours.....I can't wait to pull up the pro-staff reports and to hear your next fish story and hope it isn't long before you hear FISH ON!!!! Kick-n-Bass definitely has put more fish in my live well even on some of the toughest days you can imagine with Kick-n-Bass they ought to call it CATCHING not Fishing!!!! Catch one for me!!!! Have A Great Day!!!! Welcome aboard Reef, Glad to see another firm believer. And yes its the best you can use. David Glad to hear you are making a little money and Congrats on making the Finals. The leg is mending and the Fr said I can start putting weight on it again. I haven't been fishing and ya know I am climbing the walls right now. Need to hear FISH ON, but it will come in time. Cos Makes the best out there and its the only thing I use on my baits. Hope to get out soon and keep using KNB. Thanks Cos.
Hello everyone: Kick-n-bass paid off again...Yesterday I fished a tournament on a local river here in Louisiana and I came out with first place and qualified to fish the end of the year classic....Thanks Ken for such a great product. This was not only my win it was yours and everyone on our pro-staff....Mark...I hope that leg is healed and you are back fishing.. You have truly been in my thoughts and prayers...I hope all our pro-staffers are doing well and wish you all the best.....have a great day!!!!! First I would like to say - WAY TO GO DAVID - I hope it all works out for you and your Demo, and thank you for the compliment. As of today I am ranked 266 in the ABA and have qualified for the Nationals. As you know KNB will be at my side and using it everyday. The leg is getting better and I hope to be ready to fish again in about a month. Hello Everyone....KNB Prostaffer David here....well recently some very hard work and determination paid off...on July 24, 2004 in Lafayette LA. I will be at Academy Sports and Outdoors holding a Kick-n-bass and Senko worms demo for Ken and Gary Yammamoto. I will be there from aprox. 12:00 noon until at least 4:00. I want to thank Ken for furnishing the samples and some great drawing items to give away....So anyone around that area is welcome to attend, I promise you we are going to have a great time!!!! Remember "Your Kick-N-Bass is like an American Express Card...Don't leave Home Without It!!!!! Just returned from KY Lake watching the gals from the ACC (Affiliated Clubs of WBFA) fish for their National Championship. If you would like to see some of the fish these gals brought in go to www.wbfatour.com . As a sponsor of this tour and the WBFA, KNB is getting a lot of exposure and the gals are using KNB. By the way guys - LOOK out for these gals as they can catch BASS. From this tournament 2 ladies qualified for the WBFA National Championship, that's the next stop for KNB. COS, all the gals say thank you for such a fine product, the boat cleaner is a great success with them. Well I am sorry this is late but I broke my leg at KY lake and have been laid up a little. I went to the WBFA in Gadsden and met allot of the ladies fishing. They are a really good and fun bunch. Let me tell you guys, these ladies are tough. The water temperature is 72 degrees in the main basin. The channel is 70 degrees. CANYON Lake level is 95 percent. We caught ten bass, approximately 40 lb. of bass including a 12.27 lb. 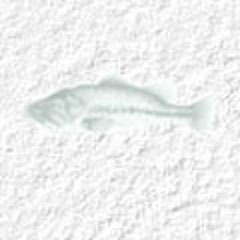 bass SEE http://www.vsps.com/5-18-04BASSKNB.JPG The bait of choice is the Tie- Not No-Tie Lure See fish photo's, and Wired worms basted in Kick'n Bass Garlic scent. This lake is a pump back lake. That means the water level could rise or fall rapidly. Conditions on this lake could very on an hourly basis. You must be able to read the current conditions of this lake at all times. In case anyone needs to see me I will be at the WBFA Tournament the last week of May in Gadsden, AL to meet the ladies and have KNB available for them. I will post any results that I get while I am there. I will also be at the ACC tournament for the ladies on KY lake in June. Thanks for the kind words, I'm hoping for AOY again. It's a long road. Your resume looks very solid keep up the great work. If there's anything I can do for you let me know. We can ALL work together. Just thought I'd send in my report for April. I fished the NBM-TVA Tournament on Shafer, finished 2nd and had big bass. (big was a relative term). I only had 8 pounds and some change, lost by about .3 of a pound I believe. Was in 4th place in the points going in, came out leading the points in 1st. We'll see how things progress. I was applying KNB Anise shad to my crankbaits, but not in regular intervals. My co-angler used all three I think, Garlic, Anise Shad, and Crawfish on his baits, I think he's hooked on KNB now. (he placed 3rd) They went to a dealer that I set up to start carrying it in Monticello, Indiana and bought quite a few bottles this Spring when they heard me talking about how good Kick-N-Bass worked. IT's TRULY THE BEST SCENT/ATTRACTANT IN THE WORLD, BAR NONE. In my tackle box, every year there are things that I "must have" annually Kick-N-Bass is one of those products. The proof isn't in the fishing, it's in the catching. Two Day Tournament - Lake Hamilton, AR. The tournament was a hard one for everybody. The site was Kentucky lake and they had dropped the lake almost 5 feet in the last three days and they were still drawing water. The tournament was shortened by heavy rain and severe thunderstorms and high gusty winds over 30 mph. I myself didnt put a fish in the boat but my partner caught several that just didnt make the grade of 15". The next stop is on the Cumberland River / Cheatham Dam. I have a few tricks that I use KNB. One is to put a few drops in a new bag of plastic baits (I carolina and texas rig quite a lot). Then when I pull out the bait, it is already scented. Another trick I use, is when I get in the boat to go fishing, I put a drop in the palm of my hand and rub them together. This masks other scents that may be offensive to the fish such as gasoline (filled the boat on way to ramp), soap after washing my hands, etc. Plus it masks the human scent. If I stop to eat a snack, I apply another drop to my hands before resuming fishing. Keep these ideas in mind next time you hit the lakes. I fish a lot of draw tournaments, both Kentucky BASS Federation as well as a local club. I always take advantage of the captured audience to promote products. I always make use of my KNB to my partners. It's concentrated -- just a couple drops does the trick. AND since it is not aerosol it does not "spray" stuff all over my boat, like other products. There have been times when I have a return partner or talk to a previous partner and find he/she now carries KNB in their tackle bag! KNB is the best on the market, with a true fish oil base, not water. Going into the championship I wasn't on a lot of fish, but managed to stay in contention ending up in 4th with 9 bass in two days that weighed 17 lbs and some change. Kick-N-Bass helped keep me in contention as I was only 1 "Big Bite" from winning. The NBM-TVA Series had their first qualifier for 2004 a couple weeks ago I ended up in 4th in that one as well and had big bass. I applied KNB Anise Shad to shad colored crankbaits. (good combination) There's a couple more events coming up yet this year I'll post back and try to give the results. I ended up winning as the points champion and won "Angler-of-the Year" for the 3rd consecutive year in the National Boat Mart- TVA Bass Series. Thanks largely due to: Kick-N-Bass There were quite a few tough tournaments this season with low weights. I attribute using Kick-N-Bass to the success because using a "Quality Scent" will get you more bites on a tough day. Yes, you may have to weed through some short fish off and on but with those bites comes keepers as well and they'll add up at the end of the season. I'm not saying you'll win every event. That realistically just doesn't happen. However, the proof is literally in the points in the standings and pounds you put on the scale during the season. Another advantage, (I shouldn't tell this) but.... You can go behind people and catch fish, with regularity. Put some Kick-N-Bass is a ziplock type bag, then dip your worms, jigs, etc.... in it and simply reseal it. Baits get a quality coat of "the good stuff" and there's very little mess, if any. The championship is coming up next month, I'll report back when it's been concluded. Just thought I'd check in for the month of June. I ended up in 10th place on the TVA Bass Series qualifier on Lake Freeman. All my fish came on soft plastics with KNB Crawfish on them. Then at the end of June I fished another TVA Bass Series qualifier on Morse Reservoir and ended up 3rd. The majority of my fish in this event came cranking. I applied KNB Crawfish to the crankbaits. Anyone who has never tried putting Kick-N-Bass on Crankbaits is missing out. It sticks!! Think about it. If Kick-N-Bass sticks to a waxed boat hull, it would surely have no problem sticking to plastic. Try it... It works great!! I'm still leading the points for 2003 for Angler-of-the-Year, but we'll see how that plays out. It's not my first rodeo, and I don't want to get excited at all. There's a lot of business to take care of, and things can happen even with three events left out of the nine. However it would be nice to win it three years in a row. Hello Anglers! The new fishing season has officially started, and here in western Louisiana it has been cold! However, that has not slowed the bass bite down a bit! Yesterday Joe Joslin, my fishing partner, and myself fished the Baskins Wrangler Angler tournament on big Sam Rayburn Lake. I am happy to say that we finished with a strong second with 16.21 lbs. However, I must admit that my partner anchored our weight with a 8.03 "kicker" fish. We caught our fish on red rattle traps in 8 feet of water on grass points and drains. Rayburn is almost ready to explode! There have been several reports from tourney anglers that fish have moved up in the shallow water in the brush. I actually saw a bed in about 2 feet of water. the water temp. on Rayburn was 49 degrees, but has fallen over the past week with cloudy, cold days. If you are heading to Sam Rayburn in the next 4 weeks, have 3/4 oz red rattle trap! This is going to be a stellar year for big Sam! I however do most of my fishing on Toledo Bend. We finished 12th in the Wrangler tourney last month with 13lbs. Toledo is typically behind Rayburn with spawning fish. Many of the bass I am catching on Toledo are in 9-15 feet of water. The bite is fairly slow, but it is picking up. If you would like to book a trip with me on Toledo Bend give me a call at (318) 382-1312. I put anise shad in my ratts to help the fish hold onto the bait AND help slide it across weed matts. Then when the bass blew through the matt, Kick-N-Bass did the rest with an explosion of flavor. WOW!! I'm also qualified for the championship in September. We were on the lake early because the day before the fish started biting around 7:00 A.M. There were two other boats fishing around us using the same baits that we were. I sprayed KNB on my perch and at 7:05 the fish bit. She tried to get back to the tree that she had come out of but I held on to the line and wouldn't let her take any out because she wouldn't let me reel her in any. We took the boat away from the tree and then I started bringing her in. I told the other people around that I had used KNB and gave them all a bottle to try. Someone asked me if I had really put it on my perch and when they saw me put it on my next one everyone was trying one scent or another. I made believers out of all of them that day. My fish weighed 12.53lbs. Just thought I'd give a quick update on this past weekends event at Morse Reservoir. I ended up in 7th place with a limit of bass weighing just under 9 pounds in the National Boat Mart TVA Bass Series qualifier. I threw soft plastics most of the day and applied Kick-N-Bass Anise Shad liberally. I caught fish ALL day long except for the last hour or so. I culled, but couldn't get enough weight, or a big kicker to pull off the win. I'm currently in 3rd place in the point standings just 7 points out of 1st. A quick trick I used was to take a ziplock sandwich bag put some Kick-N-Bass in the bottom of it then just open it up and drop my bait in it, and rub it with your fingers in the bag. This gives the bait a very thorough dose of attractant, saves product, and is quick. KNB is the most awesome product on the market!! The proof is in the fishing. Butch and I fished O.H. Ivie from June 19th threw 22nd. Since it is so hot in the middle of the day, we fish from sun up till noon and then 6:00 until dark. We caught lots of fish between 5 and 6 lbs. Bobbie caught five fish over nine pounds the biggest being 10.40lbs. Several 8lbers. Butch caught more fish but he caught a 9.10 and an 11.17lber and we couldnt keep count of all the fish under 8 lbs. I dont have to tell you that we spray KNB on all of our live bait, but Butch did spray the Shad on his and he did catch the biggest fish. I used the Garlic. Some of these fish came out of 17 of water and some 30. Saturday morning the lake was very crowded so we couldnt fish where we wanted to. Thank goodness we were lucky enough to fish during the week. First of all I would like to say thanks to the man upstairs for without him everything I am about to tell you would not be possible. I was fishing this month's tournament with the Media Bass Individual tournament circuit on Lake Bob Sandlin in Mt. Pleasant Texas. About two weeks prior to the tournament I had pre-fished and located some fish in one big creek on spinner baits and rattle traps. It was overcast and raining lightly on and off all day. The air temperature was in the 50's and the water temperature was in the middle to upper 50's. Well, come tournament day, good ol' Texas weather prevailed again with some of the worst rain and wind I have ever fished blowing in the morning. It was so rough that it caused us a double delay for take off. We finally got released about 7:15 a.m. with 154 contestants setting off in the rain and wind. I started in the pocket where I caught fish during pre-fishing. But I couldn't start in my first choice spot because there was already a boat there. So I moved to the back of the pocket where I was throwing a spinner bait 3/8 oz. white and chartreuse double Colorado with gold blades. I was casting around laydowns and about six casts into it I hooked up with the first keeper of the day weighing about 2 3/4 lbs. I worked my way down the bank to my original starting spot and lucky for me it was open. I noticed that the angler that was there when I came through had been using a spinner bait also so I opted to try something different. I tied on a jig and pig 3/8 oz. black/blue/purple with a #11-a pork frog. I put some craw fish Kick'n Bass on it and started fishing the flooded blood weed in about two feet of water. I made about four pitches to the holes in the flooded stuff when I got my next bite a 8.06 oz. big female. You talk about a rodeo. It was on, trying to get the net and keep pressure on her and run the trolling motor. Finally I got her in the boat and then I sat back for a few moments to regain my composure. I fished that spot for about an hour then I moved to a little pocket in the same creek. I flipped the grass down the bank for about ten minutes when I caught another fish weighing about 3 lbs. There were quite a few boats beating the bank so I decided to make a move to the big creek behind weigh in. I started out all the way in the back fishing the same pattern as before with my jig soaked in Kick'n Bass. I worked my way around for about an hour when I came to a beaver dam and you know what they say about beaver dam's. You guessed it I pulled a 2 1/4 lb. Kentucky out of there. That's right, a Kentucky. I now had #4 in the boat with about an hour left to fish and alot of water to cover. So I continued to flip the shallow grass and small reeds with 30 minutes left until weigh in I flipped around a point and a 3 pounder jumped all over my jig. I waited for the pressure and set the hook. Now I had a limit! It took me until 20 minutes before weigh in and playing in the rain all day, soaked to the bone to do it and I had all I could take. I got in line at weigh in with my sack not knowing what to expect. I put my fish on the scales and to my surprise I was the new leader with 19.54 lbs and I now held 1st place big bass with my 8.06 lb fish. I was asked to go see the man in the little building for a lie detector test which I passed with flying colors. I got back to weigh in just in time to hear those words that let all the wind out of my sails. New leader 19.59 lbs. That's right I was beat out by .05 hundredths of a pound. It wasn't my turn this time but I was happy with my 2nd place heavy stringer and 2nd place big bass. I felt pretty good about the outcome of it all and was happy to take my check in the amount of $1150.00. In closing I would like to thank the Big Man upstairs and all the gang at Kick'n Bass and Ken Revell. Remember, always use Kick'n Bass and keep it in the strike zone! Just wanted to stop by and let you know how things are going. I ended up in 8th at the National Boat Mart TVA Bass Series qualifier on Lake Manitou last weekend. Sitting in 3rd place in the point standings in the series. All because of the great product KICK-N-BASS!! I fished the East Texas Fishers of Men Tournament on February 9, 2002 on Lake Sam Rayburn. My partner Joe Joslin and I finished 7th in the tournament with 12.25 lbs. We caught our fish on Rat-L-Traps, Rouges, Wacky Worms, and a Carolina Rig. We located some fish in the back of a creek. The fish were holding in a sharp bend in about 15 feet of water and moving up to a shallow flat to feed on shad. It was a typical early spring pattern with the spawning flats and the "interstate highway" creek being there. We just couldn't get that kicker fish that we needed to win the tourney. Most of the fish were in 6-10 feet of water. As the day went on the fish suspended in the middle of the creek and became difficult to catch. We are pleased with our results. Neither one of us has fished Rayburn very much. I want to thank both Ken's for everything that they do. Kick N Bass is a terrific product that will help you catch more fish. I apply it to every bait I throw, even the hard baits like traps and crankbaits. Anyone reading these pages that is not using Kick N Bass, give me a call. I can give you numerous stories of the times KNB has out performed the "other products". I am so happy to be part of this team! I fished the opener of the Everstart Central Division on Sam Rayburn, Feb. 6-9, 2002. I had the BigBass on Day 1 of the event, an 8lb 7oz lunker. The fish was caught carolina rigging a Gene Larew Hoo-Daddy juiced with Garlic Kick'N Bass. I didn't make the top 20 cut after the first 2 days, but did end up in 38th place and received a check. The bite was slow and tough, and I can thank Kick'N Bass for the bites I did get. I would like to thank Ken Revell for all of his support. I ended up finsishing 3rd and had the big bass in the final round of the 2001 TVA Bas Championship. I should've done a lot better. (shoulda, coulda, woulda ect...) It's not that the opportunity didn't knock. I lost a 2 pounder in the 1st round that would've bumped my limit up on a cull. As a result I was in 6th after the first day with a limit that weighed 7#'s and some change. I also lost 2 really decent fish on the final day that would've gave me my limit. As a result I only weighed in 4 bass (not a 5 bass limit). Opportunity knocked and I didn't capitalize on the situation. KICK-N-BASS got the bites for me, but they just came unbuttoned. Guess that's why it's called fishing and not catching...My 4 bass weighed just under 8#'s. It's a proven fact "you just don't lose fish, and win tournaments usually". It was a great time, and a decent year all in all. We start the 2002 season the end of next month. I'll send you photo's ect... soon. Hey Ken & Greg just a note to say thanks for your support and the great product. Have been fishing Apache lake the past few weeks and have caught some nice fish. Finish 7th in one tournament with a 21.50 bag.Returned the following week in July an caught a 4.5,5.0,and a 7.8.Fishing is still good on the main lake so let`s go fishin. Send pictures soon! Thx again guys for everything. We are heading to Lake Sinclair in middle of October for the Angler's Choice Northern Division Qualifier. We would appreciate any help any one can give us!!! I fished the last TVA Series qualifier of the 2001 season and ended up 3rd with a limit that weighed 9.30. It took 9.98 to WIN, and 9.31 for 2nd. The TVA Series 2001 TVA Bass Championship is coming up Aug 11-12, 2001. It should be interesting to say the least. There will be a trailered weigh-in similar to the BASS Mega-Bucks tournament. I'm excited, and it should be really neat. I'll let you know the outcome. Will be fishing Neely Henry in October and have never been on the lake. Any information anyone has to share would greatly be appreciated. Fishing at Canyon Lake is fair at this time. Look for a big bass by the second week of August to appear. The water condition has dramatically improved. The crank bait bite is on but sporadic. The finesse bite is good. We used a Pumpkin seed gitzit with a 1/8 oz gitzit glider dipped in Kick'n Bass Garlic sent. This combination produced the most bass (12). The beginning of the river where the main lake and the river meats is the best location to catch these bass. I fished the TVA Series events on Manitou this past weekend and place 2nd. After looking at the point standings it appears as if my 2nd place finish will win the 2001 TVA Bass Series Points Championship. I didn't want to jump to any fast, rash, conclusions. So I held off on this report until I was sure, because there is still one event left before the championship. If anyone doesn't think Kick-N-Bass is "the world's best fish attractant" they obviously have not tried it. I owe this Angler-of-the-Year/ points championship to this "World Class" product. NOW MORE ABOUT MY DAY The sheer numbers of fish with Kick-N-Bass are just unbelieveable. I only had 3 keepers for 2nd place, BUT I caught 54 Non-keepers 12"to 13-3/4". (Must be 14") 4 Rock bass and even a gar. If my son was old enough to fish I'd have taken the next day off work to just take him up there. Not everyone caught fish like that, it was FUN!! BUT, I was using Kick-N-Bass. I'll update you after the next TVA Series event August 4th, then again after the championship August 11-12, 2001. Thanks Cosmic!! KICK-N-BASS, IT'S WORLD CLASS!! Finished 6th in this event with a limit weighing 11lbs 8ozs. Tough day of fishing and hot. Water temp around 84 degrees and slightly stained, normal for High Rock. Caught 3 keepers on t/rigged worms and 2 on a Norman Deep Little "N". Had two 3 lbers on at one time but only got one in the boat. Only had opportunity to fish 2 of the 4 events in this division but stand 72 in points. Doubt I'll finish in the top 30 unless I win Wylie in September but I'll be trying. Was on the waitng list for the Murray tx and didn't get in and had a family illness that brought me home on the Friday before the tournament. Thanks to all my sponsors: Kick' N Bass, Rippler Lures, Sizmic Lures, Easy Retriever, The Finger Rest, Fishphotos.com, Ultimate Landscaping, Congdom Competition. Sales and Marketing Performance: Introduced Coy & Kim Collier of Stewart's Sporting Goods to Kick'n Bass Fish Scents, dropped off a few samples. Fishing Performance: 14 April 01 Fished a 16 MXS Bass Club Tournament on Lake Frank Jackson in Opp, Alabama, didn't finish in the top three. 16 June 01 Fished a 16 MXS Bass Club Tournament on Lake Frank Jackson in Opp, Alabama, didn't finish in the top three. Just got in a little while ago. I've been on the road since 1:15AM this morning. I fished the TVA Bass Series event on Morse Reservoir I ended up in 7th place overall today. I used Kick-N-Bass anise shad + I mixed one sample tube of KNB Crawfish and one of KNB Garlic when I pre-soaked some worms this week. The other were pre-soaked in Anise Shad. The lake a had a "Ton of Pressure" on it as a result many of the bass I caught were "too young" to bring in. But, I was catching fish all day long, must've caught 38 or so. The points race for the TVA Series 2001 Angler-of-the-Year is now a "2 DOG RACE", with 2 events left on the schedule until the championship on August 11-12, 2001. In all likelyhood we won't know who the points champion will be until the smoke has cleared in the last event. It's going to be tight, single digits. If I can win it, I hope the other angler wins it #1 He's the defending series point champion. #2 He's a really good friend. The next event will be on July 15th, I'll keep you posted. I would like to take a minute to let Cosmic, Stinky and Ken know what's been going on this past Tournament season. Thanks to all of them, I have finished 17, 11, 9 and 6. I am currently in 2nd place in the point standings for the year with one tourney to go in the WON circuit. I know that had it not been for Kick'n Bass, I would not be where I am today. There's not a lure out there that I do not apply some flavor of KB. Usually by the end of the day, the other person in the boat is using it as well. When I give them a couple of bottles at the end of the day, they're hooked! Incidentally, I am also lucky enough to be sitting 19th in points for the season with ABA. THANK YOU KICK'N BASS!!! Cosmic, check the pictures in the braggin' section, 9.3 and 7.1 at Lake Unpleasant last Saturday. Are you ready??? I fished the WON Bass Delta Invitational pro-am this past weekend and managed to place 9th in the pro division and also placed 2nd in the WON Bass team tournament held on the California delta the week prior. I caught my fish in both tournaments using buzzbaits in the morning, senkos and Bobby D limit jigs with Crawfish Kicknbass the rest of the day. My biggest fish caught in the pro-am was a 5.30 pound largemouth on the buzzbait. We fished a two-day tournament on lakes that are close to our homes. We thought since we didn't have far to travel we wouldn't be out much. The first day we fished Sutton Lake (in Sutton WV) and the conditions were actually pretty good. Nice water conditions and good temperatures. We mainly caught fish by flipping tubes in trash piles. But by using KNB Garlic we had a great day!!!! We boated lots of fish (and called several) and ended up with a 6 fish limit. After all was done on day one we were in 2nd place with 8lbs 3ozs. On the next day we fished Burnsville Lake (in Burnsville WV) and the conditions again were favorable. Even though starting the day we were in 2nd place we were still over 4lbs behind the leader. We knew we still had a shot to win, but you never know when it comes to fishing!!! We used KNB Garlic (again) and were able to boat several fish on the 2nd day!!! We fished slugo's on down trees & had lots of luck. We weighed in 6 fish with a weight of 6lbs 15ozs. We were pleased with our overall weight of 15lbs 2ozs. But we were extremely happy because we ended up winning the tournament!!! Not only did we win we were the ONLY team to weigh a limit of fish on both days. We contribute our success to KNB and we are happy to tell everyone we know about it too!!! Thanks to everyone at KNB for all you do for us!!! Fishing was tough on Barkley. Practice on Saturday the winds were blowing making it difficult to stay on a position. We did manage to catch a few small fish on Saturday. On tournament day, there were storm fronts on all sides, and we caught fish all day, but only in casts made after applying more KNB. While KNB does last a long time, if it was not reapplied fairly often, the fish quit biting. These fish were strong river fish, and hit like a ton of bricks, making us think they were much bigger, even until we got them to the boat. We did scratch out one "keeper". We were sitting on a flat just off a creek channel that had a ridge running parrallel to the channel. The tournament went out of Kuttawa on North Barkley, and the guys that went to Tennessee brought in limits. It took 17# to win the tourney. June 16th. 2001 8pm to 6am. Hello Anglers, I would like to inform all of a great Benefit tournament, the Jim Moose Carden Benefit tournament. It is put on each year by the Kokomo Bass Anglers at Wawasse located in Syracuse, Indiana. The funds raised go to help support a week long fishing class for the youth which is followed up by a tournament for them at the end of the week. Several anglers devote their time in the classes through out the week and also bring their bass boats out so the youth can have a day on the water and have their own tournament. Some of these future outdoorsmen would not have the chance to enjoy such a great time if not for all that get involved. I would like to invite any who could fish this tournament to do so it is always a great event and very worth while. I also would like to thank KICKNBASS for their donations as door prizes and for their support of myself and Bud Fields last year and this year. Contact me for any information you may need. Thank you and remember take a child fishing, hunting etc. your be glad you did!!! Ray Miller Kokomo Bass Angler, KNB Pro Staff. Jerry's Tournament Tackle Pro Staff. Summertime fishing is alive and well here at Falcon Lake, located deep in the Rio Grande Valley close to Zapata, Texas. As youve probably heard the lake is 48 ft. low, but believe me theres plenty of water for these South Texas Monster Black Bass to hide in. Ive only recently developed a decent topwater bite on Falcon. One has to be out by daylight, and fish fast because it doesnt last long after the sun comes up. Secondary points in the main creeks with some rocks visible and a few hardwood trees is an excellent place to try. I concentrate on 2-5 ft water depths. Lure of choice is a medium sized chrome-black back PoP-R. Throw the bait right on the bank, work it back slowly, and when you come to a hardwood tree, stop the bait, count to four slowly then continue on if you dont get blasted! I havent caught any wall hangers using this method, but it sure helps get the day started right. When the topwater bite slows, Ive been going to main lake points and throwing Carolina Rigs. Im using a 3 ft. leader with Lake Fork Trophy Bait & Tackle Watermelon-Chartreuse Ring Frys. If you havent tried these Ring Frys you owe it to yourself to give em a try. Theyre packed full of scent, theyre bulky, and will stay on your hook all day if you want them to. I also always keep a Texas rig handy, usually a ¼ oz. Bullet weight 4/0 hook, and tip it with a Red Shad Zipper Worm from Big Bag Bait Co. These Zipper worms seem to work real well here at Falcon. And by all means keep a variety of crank baits handy in red or fire-tiger. Fishing has been fantastic on Table Rock. The Lord has blessed me with more business than I can handle and great clients that keep coming back for more. Thanks to Ken Revell and Ken Kross for all the KickNBass that makes my job easier. Here's the web-page for the TVA Bass Series. For updates, standings, etc..
On May 12, 2001 I had to endure another "tough" TVA Series event. This one was on Lake Freeman. If the guys that fish this series arn't tough enough, add post spawn, mile high skies, with a cold front passage. There's not a lot of "glory" to write about in this event. JUST TOUGH FISHING. I have to give Kick-N-Bass the credit it's due. I ended up in 3rd, and had big bass with a 2.33 smallmouth. My total weight was 3 bass = 5.25. Second place was 5.27 and it only took 6.05 to win. Nothing like shooting yourself in the foot, I had the fish on to win 3 times. But, lost them much to my disappointment. I believe Kick-N-Bass provided me with the opportunity to win, but the fish just "came unbuttoned". I'm currently leading the 2001 Angler-of-the-Year race with two-2nd's, one-3rd, one-VICTORY. With 5 events left in the series. BUT THERE'S A LOT OF TIME LEFT. Just writing a quick note/update. On April 21, 2001 I won the TVA Bass Series event on Lake Shafer by a pretty decent margin. I had 10.16 pounds and 2nd was 4.63 (or so). Anyway, Kick-N-Bass made the difference, the fishing was tough, and so was the wind. Kick-N-Bass enabled me to not just win the event, but I culled 6 fish. (had 11 keepers total that day) I used a lot of Kick-N-Bass on ALL my baits, and would let the jigs sit in the strike zone as long as I could. Kick-N-Bass also helped me catch one of my "kicker fish" pardon the pun. The fish had bit earlier, and I just swung on air on the hook set. But, I came back later, applied even more Kick-N-Bass and let my jig sit right where the fish bit earlier. This time when I swung, I connected. WHAT A GREAT PRODUCT!! Wal-mart Bass Fishing League, Carolina Division on Lake Wateree. Tough tournament for me because of "NO" pre-fishing. Catching post spawn fish on jerkbait and Sizmic Worms with Kick'N Bass Garlic Scent. Following is the results from the Anglers Advantage Tournament Trail, Piedmont Division. After 6 events currently in 8th place in points.